WASHINGTON (CMC) – The International Monetary Fund (IMF) is providing US$2.5 million to Haiti as it praised the French-speaking Caribbean Community (CARICOM) country for its economic performance “despite difficult circumstances”. The Washington-based financial institution said it has completed the seventh review of Haiti’s performance under its programme supported by the Extended Credit Facility (ECF) arrangement. 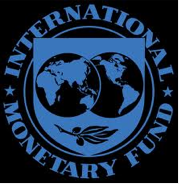 “Completion of the review will enable an immediate disbursement equivalent of about US$2.5 million, bringing total disbursements under the program to date to the equivalent of about US$60.7 million,” the IMF added. It said the Haiti’s requests for waivers of nonobservance of the continuous performance criterion on the contracting or guaranteeing of short-term non-concessional external debt and approved modifications to end-March performance criteria had also been approved. Haiti’s ECF arrangement was approved on July 21, 2010 together with the full relief of the country’s outstanding debt to the Fund of about US$268 million. “Haiti’s performance under the Fund-supported programme has been satisfactory despite difficult circumstances. Reform measures and policies put in place have helped maintain macroeconomic stability and advance structural reforms,” said the IMF’s deputy managing director, Naoyuki Shinohara. He said the programme for the fiscal year 2014 aims at consolidating macroeconomic stability and sustaining progress in structural reforms. “These objectives will be supported by continued prudent monetary policy, the stabilization of the overall fiscal balance, and the continuation of structural reforms in the areas of public financial management, international reserve management, and the electricity sector. Advancing these reforms is essential to contain fiscal risks and address continuing vulnerabilities. ““The authorities have adopted a medium-term poverty reduction strategy, with special emphasis on job creation in manufacturing, tourism and agriculture, social inclusion, and improved governance. This would contribute to the establishment of an environment conducive to economic growth and to reducing Haiti’s dependence on foreign assistance,” Shinohara added.